In this guide, you will be able to learn how to Download Huawei P9 Lite B382/B383 Nougat Update. Huawei has been gaining a lot of reputation in the smartphone market in the past few years, especially after the debut of the Huawei made Nexus 6P, that followed by the all time favorite Honor 8 and the ‘P’ Series of smartphones. The Huawei P9 Lite was one of the devices that brought upon good flares to the company, and it does come with Android Lollipop out of the box. Just as Huawei promised, the Huawei P9 Lite has already gotten many Marshmallow patch updates, but since the phone is sold worldwide, the OTA might not have hit your region yet. 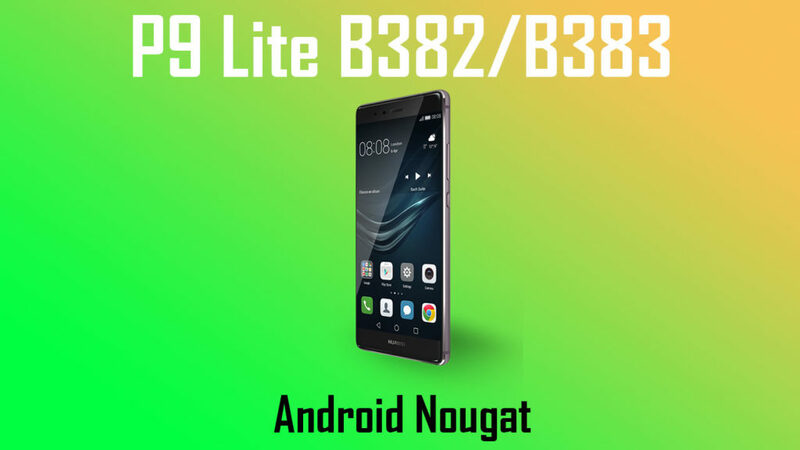 In such a case, follow our guide to learn how to Download Huawei P9 Lite B382/B383 Nougat Update. TheDroidGuru isn’t a bit responsible for any causalities to unfortunately take place on your device(s). You proceed at your own risk, and should there be any mistakes in the guides on our end, your feedback is essential and is always appreciated. With that being said, thoroughly go through the guide before testing it out on your device(s). Follow the above download links given, and extract the appropriate one as per your region/model number. In the root storage of your device, create an empty folder called “Dload“. Now, copy the update.app file extracted to the dload folder on your smartphone. Good going! You’ve done it! If you have any queries regarding the article, refer us in the comments section below and we will be glad to assist you :).